The search for local web designers ends here. 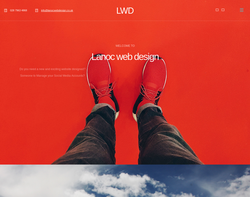 Lanoc Web Design Northern Ireland offer affordable, professional website design/re-design. If you are thinking about a website or considering having your website re-designed, Lanoc Web Design can offer: Free easy-to-understand website advice A search engine friendly design Great service Ongoing website maintenance and support Affordable web design prices There is no point having a small business website that doesn't generate qualified leads and sales, we will design your website from the ground up as an effective selling tool. While planning your new site, we will learn about your business and customers, and work with you to present your company in the correct way to appeal to your target audience. 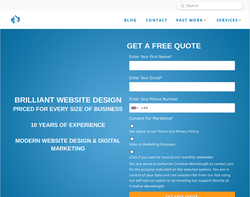 We provide a full range of WordPress Web Design solutions and a full range of Digital Marketing solutions for your business. ...the excellent service I have always received from Freeola. Freeola is an ISP, offering unrivalled internet services to small businesses and comsumers in the UK. We offer a range of services, from broadband to web hosting. Start at cheap domain name registration, get a free website, or just browse the site. Join the Freeola & GetDotted mailing list for exclusive deals, offers and service updates straight to your email inbox. Copyright © 2005 - 2019 Freeola Limited. All Rights Reserved. It appears you are using an old browser, as such, some parts of the Freeola and Getdotted site will not work as intended. Using the latest version of your browser, or another browser such as Google Chrome, Mozilla Firefox, or Opera will provide a better, safer browsing experience for you.